Greetings! Thank you kind weather gods for this long, warm, dry fall! It is disgustingly perfect for collecting deliciously ripe edibles and being able to store them properly for winter. At this time of year, I like to look to my friends the squirrels for inspiration. These guys are pro-foragers and "storagers", as I like to call them. They know cold is coming and that now is the time to collect and save for thinner times. They know what's up! I should be more like a squirrel, really. Well today, the squirrel inside me stirred while I scavenged a near-by hazelnut tree for fallen fruit. Corylus avellana, the common Hazel, is not technically a 'wild' edible, but is so omnipresent that you can find them 'in the wild' on abandon homesteads or public parks, (note: we are not advertising trespassing here!). Many Hazel shrubs were planted as hedgerows to mark the boundary of a farm or property, which is why they are pretty common in all types of vegetation zones. Not to mention their wood is useful for fencing. An all around advantageous homestead plant! They reach about 3-8m tall and are usually surrounded by other Hazels, as they need cross-pollination to produce nuts. That is, you need a mommy and a daddy tree to make baby nuts, awwww..... Now, lets eat those babies, er, baby NUTS! The way to do it is to wait for the fruit to fall off the branch on their own. This is the time to make friends with squirrels, if you can. Seriously, these dudes are fast. They will devour all the nuts and leave none for you. Finders keepers. So, yes you have to be ahead of the squirrels and collect your bounty almost as soon as they fall. Wait until the nuts are good and dry before collecting. This means waiting until they turn brown. Fresh ones are green and wont ripen properly or taste good if picked this way. 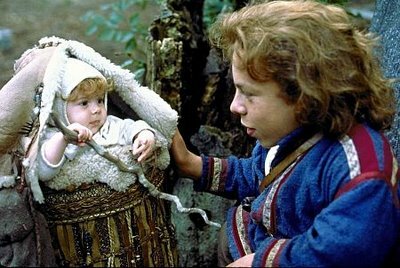 The awesomest movie of all time: Willow, where hazel trees were used to make magic staffs. Collect the nuts up from under the tree, let them dry for a few days and start a'crackin'! It is a tedious job, but well worth it as the flavor of freshly dried hazelnuts can't compare to store bought. To further the operation and make the flavor even more intense, carefully roast the cracked nuts in the oven or over a fire. In conclusion, if you want a tasty treat this fall, think like a squirrel, go 'nutting', as they say, and stash your little treasures up until a special occasion presents itself! -Hazel fruits were the most important source of calories for out Neolithic ancestors! -They are a rich source of monounsaturated fatty acids, making it an aphrodisiac food! Hi Friends! Ahhh, summertime! Ahhh, swimming! Ahhh, wild berries! My most favorite being the very small, very underrated, very sweet Native Trailing Blackberry, or Rubus ursinus. You'll find this crawling shrub in most forests around B.C and down to California and as far east as Montana. They grow best in disturbed areas where logging (boo!) ect. has gone on. I am sure that you have seen or even tasted the more common introduced species of blackberries, the Himalayan and/or the Evergreen blackberry that grow along roadsides and backyards. The less common Rubus ursinus has superior flavor and less prickly vines than the other two. First Nations Peoples picked these berries and dried them in to cakes. They also used the leaves in tea to cure bouts of dysentery, bonus! So, when you're walking down the trail in a few weeks, (they are usually out from the end of July to Mid September, depending on the type of summer) keep your eyes open under the brush. If you see any without berries or flowers, it is likely a male shrub as this species are dioecious, meaning there are both male and female plants. Pretty neat!!! Good luck, keep up the good work, put some of these berries on your cereal when you wake up to watch the sunrise! I know, I know, another berry? Well, yes. Seeing as it is big time berry season, Gaultheria shallon just has to be recognized. You may not realize it, but this evergreen shrub dominates our forest floor. It is EVERYWHERE. But, not just in our backyards! From bio-regional restaurants, to the landscaping industry, to little old ladies who make jelly, to floral arrangements at your best friend's wedding, to First Nation families, and to sauvage enthusiasts, salal truly is a ubiquitous plant. So much, that a complete biography has been written about it, ("Salal: Listening for the Northwest Understory" by Canadian author and UBC professor Laurie Ricou). 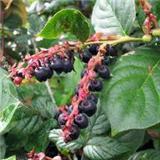 There is so much to say about salal, but I will focus on its edible qualities and its importance in Coast culture. Now, I've got one word to say to you: fruit leather, baby! According to the forth mentioned book, the First Peoples of the West Coast invented it! During the months of August and September, Gaultheria shallon bears its fruit. Sweet, juicy and a little seedy, families collected enormous baskets worth, cleaned, mashed and cooked them with hot rocks,, then dried them in the sun or over fire. The cakes were stored over winter and brought out on special occasions. Pretty neat. And (!) the leaves could also be made in to a poultice to treat burns and wounds, or made in to an infusion to treat indigestion, colic and tuberculosis. Today, those same families and other coastal residents preserve salalberries by making jam, jelly, syrup, jarring or freezing. While bushwhacking through the understory, identify these bad boys by their lovely green egg-shaped leaves and pinkish bell flowers (or berries, when in season) hanging from the branch tips. Check out the stems of the shrub and you will find that they are flexible and wiry. This helps in winter, letting it bear the weight of snow, letting it tower over the other plants. Usually, it is found in damp low-light places, but salal has adapted and can grow anywhere. The hight depends on conditions, sometimes ranging from knee high to 5-feet! Caution; tics do reside in salal shrubs, so be aware of that. Do a tic check. But, don't let that deter you. The humble salal is of great significance and should be honored for its contribution to our West Coast landscape and history. I am happy to have been able to shine a light on this truly West Coast edible. Thanks! The Shaggy Maine is just one of the many truly delicious treats one can find while roaming around in B.C. 's great outdoors. Try frying with some butter onions and garlic. Identifying this mushroom can be fairly easy especially if you wait for it to turn into a puddle of ink, but by this point it is too late to consider for the dinner menu. As with all wild edibles we recommend buying yourself a field guide to mushrooms before attempting to tap into this wild source of nutrition. A whitish cap with off-white to brownish shaggy scales, cone shaped cap that turns into a black tar like substance as the mushroom ages. The long stem is the only thing left standing as this mushroom melts into a puddle of ink with age. If you are going to eat it, you must get at it before this occurs. -Cap is anywhere from 3-5cm wide and 4-15cm. tall. -Gills are free and very crowded. -Stalk is 6-20cm long and 1-2cm thick, white in color, bulbous in shape and hollow. -This mushroom has a partial veil and when the cap begins to open it leaves a ring at the base of the stem. -The spore print for this mushroom is black. This mushroom tastes delicious and can be found scattered to clustered in grass, wood chips, and dense soil from May to June, September to October, and again from November to January in Southeastern regions of North America. I have seen this mushroom exploding through pavement on the side of the road while strolling along to go fishing in the Haida Gwaii. My first morel hunt had me bent at the hip walking around like an ostrich trying to find a good hole to hide his head in. I proceeded like this for hours until I finally had to take a break succumbing to a pretty bad headache from straining my senses too hard. "Where the heck are those little things?" I was convinced that I was either too early in the season or too late, not in the right spot or not looking in the right spots. However, I was determined so I carried on anyways. Finally my eyes focused on this little black honeycomb like thing sticking out of the ground on the side of a bank. My heart started to race and as my eyes adjusted to the contrast, I began to see more and more and more of these delicious mushrooms. It was like an Easter egg hunt and I was filling my sack, just as excited to find the next one. I took a bunch of photos, incase I couldn't find anymore than at least I had documentation of where I found them before and would hopefully be able to use that to find them again in the future. Through my studies I read that mushrooms have to spread their spores in order for more mushroom to grow, so I left about every 5th one that I found. That way I could come back next time and enjoy the same awesome excitement. When, I figured I had enough, about 2 dozen, I returned to my trailer in Northern B.C. were I was living for the summer with 3 other great friends, forest fire fighting. I fried up the mushrooms with a a dollop of butter and a little salt and pepper. Once cooked, I drizzled them over a steak and shared the flavor with my awesome roommates. 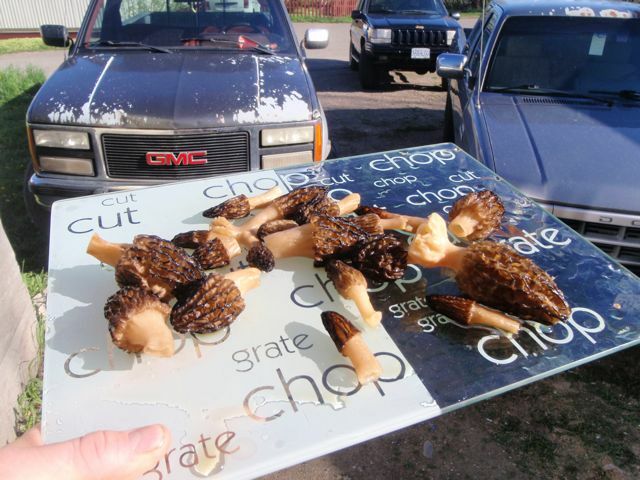 They all loved it, and I can't wait to go picking morels again. Look how well they blend in to their surroundings! Not well enough to elude the dinner menu though! A black-ribbed honeycomb like cap resting atop a whitish to off-whitish stalk. The stem is is hollow and thick. -Cap is 2-4cm wide and 2-5cm tall. -This mushroom does not have any gills, instead it has yellowish pits much like a honeycomb, it shoots it's spores out of these pits. -Stalk is 5-10cm long and 2-4cm thick and hollow. This mushrooms is very tasty and can be found in coniferous woods, especially spruce. Most of the ones I have found have been spotted amidst young poplar stands. They are also found in association with pines and can be abundant in recently burned areas. Sandy soils seem to be favored by these elusive little shrooms. These mushrooms beat the rest of them out of the ground and appear from April to May and in Northern regions into June. The black morel is the first true morel to appear in the spring. It has been known to cause stomach upset especially if consumed with alcohol. I find the Black Morel to be very rich in taste and excellent in sauces. However, there are many different equally as tasty ways you can choose to enjoy this tasty treat from the woods. Hello Adventurers! So sorry for the long hiatus. But now that we are fully in mushroom season, we will have tonnes to talk about! Just a quick note on collecting mushrooms: please, please, PLEASE! make sure you have a reliable resource to reference your mushrooms before you PICK and/or eat them. A human is best. Google Images are also helpful. And a book, such as 'The New Savory Wild Mushroom' by Margaret Mckenny and Daniel E. Stuntz. Fungi are extremely magical and mysterious and can seriously bite you back, or worse. Remember: 'There are old mushroom pickers and there are bold mushroom pickers, but there are no old, bold mushroom pickers.' So, take heed of this warning, and respect these powerful organisms. On that note, I found some puffballs! Puffballs are delicious! Puffballs are cute! I didn't know you could eat these spongy little mushrooms. The kind I found are scientifically known as Lycoperdon perlatum. It is one of the most common type of puffball. The type you find on a lawn, or around rotted logs. The fruiting body is described as white, or sometimes a pale cream or a pale brownish color, pear-shaped and about 3-4 inches tall. The top will be scaly and/or spiny. The stem is fairly large and attached to the ground by rhizomorphs (roots, thicker than mycelium). As the puffball develops, it will form a pore at the top of the fruiting body, then, a dry, papery shell taking on an olive or rust color. Definitely don't pick them at this stage. Only young puffballs of this type should be collected, otherwise they will taste bitter and you'll get a mouth full of spores. Wait til next season. This mushroom has also been called "the devil's snuff-box", I guess because if you sniff closely, you'll get a whiff of dusty spores!?! Not cool devil, not cool. Anyway, care should be taken before eating these, as the young, deadly Amanita virosa looks similar to the puffball before it "blooms". So, when slicing these up, be sure that they are white all the way through, with no outline or grey-ness on the inner flesh. If so, toss 'em. How do they taste, you ask? Mmmmm, like tofu, but way better! I say tofu, because there are a bit foamy-er than other mushrooms I've eaten, but they are still pleasant. Fry them up in butter, and maybe some nori or tamari sauce. Japanese stylee! Enjoy, and happy hunting! Now that could be a dangerous mistake!!!! Anyways! If you know the basic characteristics of the Chanterelle family you can usually identify them in the forest. To actually pick the different varieties, you should study them in detail with a trusty pocket mushroom book or an experienced picker. In this group, the caps are a pretty vase-shaped, trumpet-shaped and/or wavy. Underneath, the gills are soft and fork-shaped, well spaced, shallow and often with connecting veins in between. They can range in color depending on the types (noted above), bright orange, yellow-orange, white, blue, black, yellow-brown to tan or olive-tinged. The most popular being Cantharellus cibarius, which are found on the ground under conifers and oaks from southeast Alaska right down to California, usually in groups or 'veins', which makes it so fun to find them! Like a treasure hunt. Other characteristics to look for is the medium to large cap, which is broadly domed to almost flat when they are young and their white flesh. Smell is a big one. I can always positively identify chanterelles by their apricot aroma. Its very subtle, but its there. One thing to be aware of are the two poisonous look-alikes of chanterelles. Now, don't be put off, they are easy to identify if you are a careful hunter. The western jack-o-lantern mushroom has thinner, more crowded gills and no white flesh. The other, the false chanterelle, has thinner, oranger gills and browner cap. Look these up if you are a beginner. One more thing before you get out there, cleaning chanterelles is always a doozie. You will probably come home with a huge bag full, if you're lucky! I take a knife and just skim all the slime (if any) and pine needles off in the sink. Don't let them soak in water, as they are like sponges and you'll end up with a soggy mess. Dry them off carefully and put 'em in a pan over medium heat. They will start to release some water (which can be reserved for soup broth). When they start to look shriveled, get the butter out and saute those babies! Yum, and good luck! Some mushrooms like the Chanterelles and Boletus absorb lots of water. It is important when cooking these species to address this in order to avoid a mushy mushroom disaster. It is really easy!!! All you do is heat an empty pan over medium heat. Do not add anything to the pan except the mushrooms themselves. Stir constantly and they will start to release their juices, you can either drain the juice or save it for a soup as mentioned earlier. This process should take about 10 minutes. When the mushrooms look like they have released most of their moisture than you can add anything you want, butter salt and pepper seem to do the trick just fine. Enjoy. Hola Adventurers. Are you sick of mushrooms yet? Hope not! Cause the season is just getting good! Until last week, this mushroom was an elusive forest treasure that I just could not find. Probably because they are almost always covered with moss or pine needles. I just needed to hike around with an expert hunter. Now I can find them just by sniffing. 'Just like a Truffles pig?' you ask? Yes. Just like a Truffles pig. Thanks guys. But really, these beauties are highly prized, especially in Japan, for their strong aroma and complex flavors. Have you guessed yet? Yes! The Great White Matsutake! Aka The Pine mushroom, aka Tricholoma magnivelare,if you wanna get all Latin about it. Find them on the ground in sandy soils, especially under pine, fir, hemlock, and Douglas fir trees. Sometimes their cap is white and sometimes slightly yellowish, but mostly with brown or cinnamon 'scales'. Pines also have a veil present, which is kinda this fiber that rings around the upper stalk. Their flesh and stalk are very firm, not jiggley at all. My friend Yuki says the best way to eat these babies, and not ruin the flavor, is to salt them lightly, then roast them on the BBQ (or a campfire!). Serve with soy sauce and lime drizzled on top. So good. If you are wanting to mellow the cinnamonny flavor, then go ahead and saute them with butter and garlic. They are super meaty and will fill you right up. WARNING: Pines very much resemble a white species of Amanita which has a different odor and a more fragile veil, but in the excitement of finding your first Pine mushroom....don't get confused! Make sure you've got the RIGHT one before you BITE one!!!!! Happy Hunting!!!!! The number of kingdoms of classification varies depending on who you ask. Furthermore, this number is always changing with advancements in scientific technology and capabilities. There was a time when there where only two: Plants and Animals. However, according to multiple sources including Wikipedia-The Free Encyclopedia, there are currently 6 recognized kingdoms of classification: Animalia, Plantae, Fungi, Protista, Archaea and Bacteria. As you may have guess the one we will be focussing on in this section is: the kingdom Fungi. "Mushroom are among the most mysterious of life forms. The ancient Greeks believed they came from Zeus's lightning because the appeared after rains and reproduced and grew inexplicably. In the Middle Ages, the circular patterns formed by some mushrooms were dubbed "fairy rings" and were thought to be the work of the "little people," who supposedly danced around them at night, performing magic rites. In the New World some hallucinogenic mushrooms have been called "the food of the gods" and invested with supernatural powers." -A passage from "National Audubon Society Field Guide to North American Mushrooms" by Gary H. Lincoff and Knopf. Tagged: Kingdom Fungi, Kingdoms, How many kingdoms are there? Now, let me introduce Oxalis oregana. 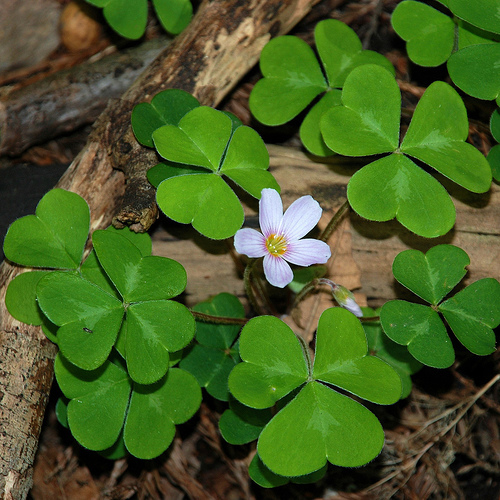 As a species of the wood sorrel family, it goes by many names; Redwood sorrel, shamrocks, or just sorrel! Its got a definite tangy taste, like lemon, and is a great addition to salads or stir fries, or any other dish you are cooking up. Munching on a bit will give you a boost of vitamin C! Native to moist Douglas-fir and Coast Redwood forests, Oxalis oregana has long been collected by coastal First Nation tribes from South Western B.C, down to Northern California. The Cowlitz tribe of Northern Washington state harvests this species to make a poultice for sore eyes and as a remedy for a digestive tonic. The sour taste of the plant comes from the compound oxalic acid, which is also found in spinach. Steaming or boiling the plant will reduce the amount of oxalic acid, which can disrupt nutrient absorption (please don't eat too much RAW sorrel, or raw spinach for that matter!). So, if you are frolicking in the Redwoods this summer, or even taking a stroll in your Pacific Northwestern back yard, impress someone and point out this common ground cover. They are easy to identify as they have three heart shaped leaves with a burgundy or pink underside. You will see them during most of the year. From spring to summer, look for small white flowers stretching a couple centimeters above the green foliage. Maybe even stay and watch them a few hours to observe how they bend downwards in direct sunlight and stretch again when the shade returns! Have a "Double Rainbow!" experience! Thanks guys, and stay tuned for the delicious Rubis ursinus otherwise known as the trailing blackberry! Its SPRING! Well, not yet. But after a long winter of eating pine cones and cattail roots, it is a nice treat when you can finally eat something green. Now, the best motto for this edible is 'if you can't beat 'em, eat 'em'. HA! That is exactly what we'll do. I can't say enough about these plants. I love them. I once thought of getting a tattoo of it on my leg or something. Maybe not. Last time I had this idea, I almost got a Canadian flag tattooed on my derrière. Uhhh, anyway......Taraxacum officinale! The Common Dandelion. Tidbit: From the old French words Dent-de-lion, which means Lion's tooth. Appropriate because of its long, lance-shaped leaves. And the color. Lion's teeth are green because they can't hold tooth brushes with their paws, right? Riiiiiggggghhhhhtttttt. Lets get serious! I hope you have all seen a Dandelion. The are ubiquitous alright! However, the best place to harvest them is in the wild. And the best time to harvest them is in the spring or fall when they are young and not flowering. The flowers make the leaves much more bitter. Look for rich soils and moist, shady conditions to get the best results. Definitely not on the sidewalks or the grass in front of Tim Horton's. Many-a-gallon of Round-Up and other deadly chemicals have been put in to the earth trying to eradicate these poor things. You will get sick. That is why spreading the word about their medicinal, nutritional and delicious properties is very important. Spring is a wonderful time of year to collect because the greens are so fresh and tender, perfect for a camp salad, in a chip sandwich, steamed or raw-dawg. And! There are no poisonous look-a-likes, so you're set. 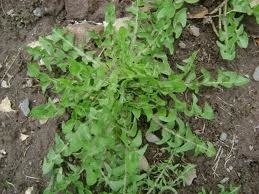 There is a list of nutritional values and medicinal properties of the dandelion. They are the most nutritious green you can have. They have more beta-carotene than carrots, and the iron and calcium content is phenomenally greater than spinach! Hawai'i. Land of sun, surf and getting lei'ed! Also, land of abundant delicious fruits and year round growing seasons! There is much to be foraged on these islands, as I found when I arrived on the Big one. Of course I have been studying tropical fruit books and endemic Hawai'ian plants AND I have been to Hawai'i before, however, there was a lot to learn. When the First Peoples arrived on the shore, there was many fish, shellfish and seaweed (limu), but of the 1200 or so "endemic" plant species, none were really edible! Luckily they brought some snacks! 'Ulu (Breadfruit), Mai'a (Banana), Kalo (Taro), 'Uala (Sweet Potato) and Uhi (Edible Yam) were the most important of the crops and fed the Canoe Peoples for thousands of years, and still feed Hawai'ians today. You can't really find these walking through the jungle though. They are cultivated crops. What you can survive off of are a bunch of introduced and invasive species. But don't hate! Even though some of these plants out grow and endanger the natives, they are opportunists and survivors and deserve to be enjoyed! Most of these I identified while hiking or bush whacking through the different climate zones (on a friend's property). What I found were Coconut, Avocado, Citrus, Guava, Bananas, Papaya, New Zealand Spinach, Lilikoi (Passionfruit), Wild Raspberries, Peaches (whaaa? yes, its true) Mountain Apples, Ohelo Berries, Mulberries, Kumquats, Star Fruit, Macadamia Nuts and Rambutan and the rare Sausage Tree (not realsausages). Pretty COOL, right? Most of these are easy to identify with a little smarts and a reliable tropical fruit/nut book. Some advice, get a machete for the coconuts! I've spent way too many hours trying to break one open cave (wo)man style! Hopefully, some of you find yourselves in Hawai'i one day, and if you do, make sure to study up and take advantage of the abundance of free food. Aloha, brah! It's Spring! Whoop, whoop! Forget those roots and twigs you were foraging for this winter. It is that time of year again when abundance returns to the land and collecting edibles is such a joy. With so many choices, where do you start?!? Here is one beauty to look for: Viola pensylvanica, a member of the violaceae family, or more commonly known as, violets. These young guns are wild though. There are over 800 or so species in the genera, so imma just stick with these yellow ones I found in the meadow behind my house. You really can't miss 'em. They are one of the first colors to emerge from the dark forest floor. With heart-shaped green leaves and little yellow petaled flowers, how could you not pick a few? Pay attention when walking through a shaded meadow or on the edge of a forest. The plants can grow from 1-12 inches, producing a single yellow flower with 5 petals (3 lower, 2 side) rising above a carpet of heart-shaped leaves with sharp tips. This species spreads by rhizomes, so you will find them growing in dense clumps. I have yet to find a source which confirms the leaves as edible, so stick to eating the flowers only. A fun fact that I ran in to is that the flowers are the larval host and/or nectar source for the silver-bordered butterfly. I know, right! So don't pick all of the flowers, leave some for the larvae! So, in conclusion, you definitely CAN'T make a meal out of violets, but you CAN impress your friends by adding them to a dish you've made. Pretty up that bowl of wieners and beans that you made for your girlfriend by adding some edible wild violets, she'll thank you for it!!! Adios for now! There are many types of wild roses in the Pacific Northwest. You've definitely seen them around. Two of the main ones go by the name of Rosa nutkana and Rosa woodsii. But also you can find Rosa hispida, Rosa gymnocarpa, Rosa acicularis, the list goes on. They are all members of the Rosaceae family. You can tell wild roses by their characteristic feathered leaves, brambley like growing pattern and their five-petaled pink/red flowers. I can't give you any clues on exactly where to find these guys, because they grow everywhere! Some types tolerate no drainage and clay soils, while others prefer the opposite. However, timing is important. The roses flower in the spring. Bright little pink flowers with yellow centers. This is a good way to spot a patch beforehand and go back in the winter when everything just looks like a bunch of sticks. After the first frost is when to collect the hips or 'berries'. They are bright red, sometimes orange, depending on the variety. Collect a nice little basket of those, split them open and check for larvae (which happens here in our damp climate) and dry them. You can scoop the seeds out if you want. Make sure to pick ripe ones, which means, not to firm and not too soggy. After the first frost, they should be supple enough and have a good flavor. Make sure to leave a few hips for next years flowers as well as for other hungry animals. After drying you can do a couple things with them. Tea is fun and easy! Just steep the dried hips in some boiling water and enjoy some wild vitamin C for free (more than in an orange, now that is a good deal!). This is easy to bring camping or hiking too! You can also make jams and jellies, but who wants to do that when camping. Talk about girlie! Well, hopefully I've convinced you to not get scurvy this winter, I'll definitely be able to pick out the ones I didn't!!!! Happy collecting! *Just a reminder to make sure to collect off bushes that have not been sprayed with pesticides or engine exhaust. Many towns use these wild roses in native plant gardens that reside alongside banks, grocery stores and highways. So use your common sense. The beach and forest thickets are good spots. To be honest, I was weary of telling the world wide web about this tasty treat, however, yesterday, when I went collecting nettles, I realized that there are enough nettles for the whole WORLD! And when I say 'nettles', I mean stinging nettles! The same stinging nettles that gave you a nasty uncomfortable rash when you were a kid. Who knew you could eat them? Well, you can! Urtica dioica is not a native species. It was a gift from merry ol' England, same as the annoying but tasty edible, the common black berry bush. Nettles are special to me because they are one of the first green, nourishing plants that appear in our forests, sometimes as early as February. After a long winter of eating twigs and nuts, thats pretty special. Nettles are a very rich source of iron, calcium, potassium, magnesium and vitamins A, C and D. The medicinal properties are endless! Everything from cleansing the liver and kidney to stimulating the immune system to treating inflammation of the prostate! Look for them in moist, rich soils along deer trails, meadows and man-made structures like barns or roadsides. The best time to harvest is early spring, when the tender green shoots are the most nutritious. Make sure to wear gloves and use scissors or a knife for a clean cut so you don't damage any root systems by pulling on the plant. There are a couple of ways to eat and/or preserve nettles. To eat fresh, make sure to steam or pour boiling water on the nettles so they can release their stingers. After that, you can use them as you would spinach. Reserve the water that you used to cook the nettle and use it as a base for a soup or a nourishing tea. If you picked too many, you can preserve by drying the nettles above a wood stove or in the sun. Dried nettles are also good in soups and tea.